Welcome to our Solar System! In this program, you can explore the solar system in a first person camera, just like you are flying a space ship around the endless void of space. 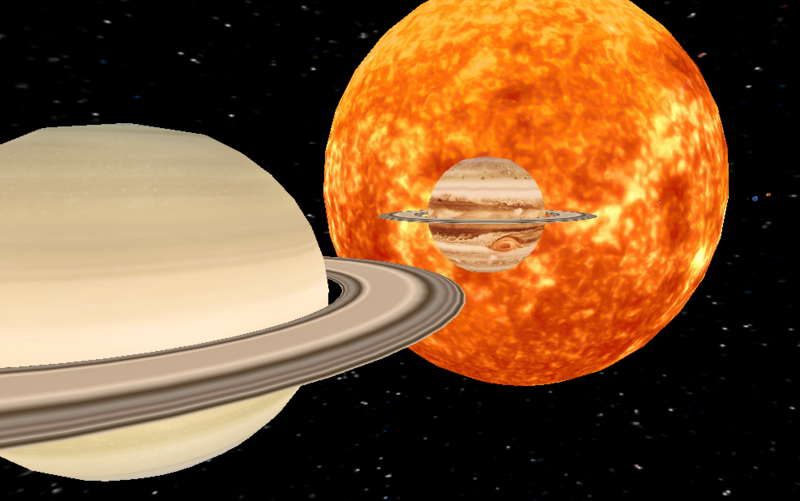 You can observe how planets orbit and rotate at different speeds. You can also see how many moons each planet has, as well as their orbit paths. And the best part is that you are also a time master. This means that you have the power to control time to see a faraway planet orbit faster. Hop on the space ship and explore the solar system! In 2017, ChairGTables attended a class called CS 480 Computer Graphics. 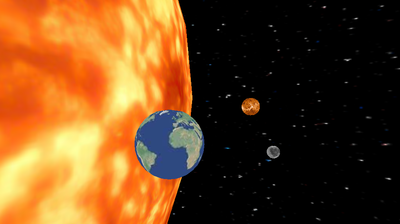 One of the assignments was to create a simulation of the Solar System through OpenGL. The libraries utilized include GLM, GLEW, SDL, ASSIMP, and MAGICK++. Move around freely in any direction and explore space!